Welcome to New England Week! 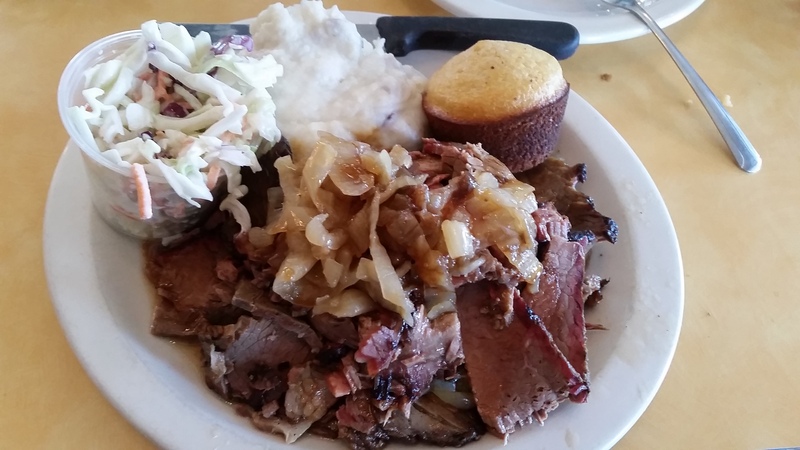 Over the next few days I will be covering delicious food from New Hampshire, Massachusetts, and Connecticut, before returning to Nyack next week. 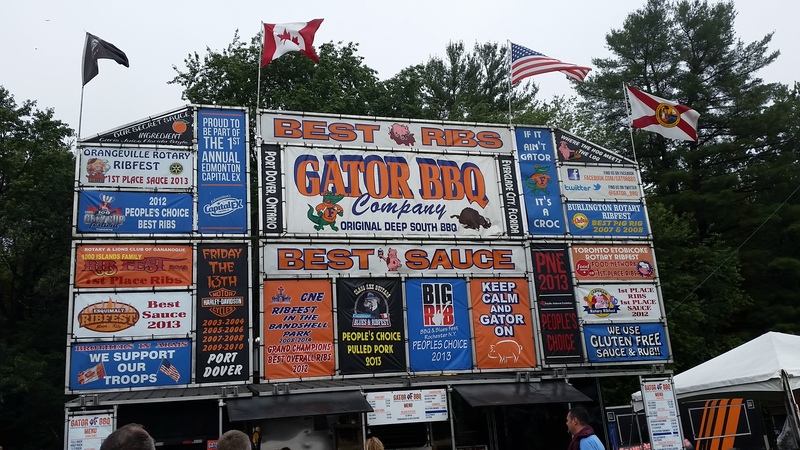 Today will be focusing solely on the best ribs to come out of Ribfest this past weekend, with tomorrow dealing with Pulled Pork, Brisket, etc. 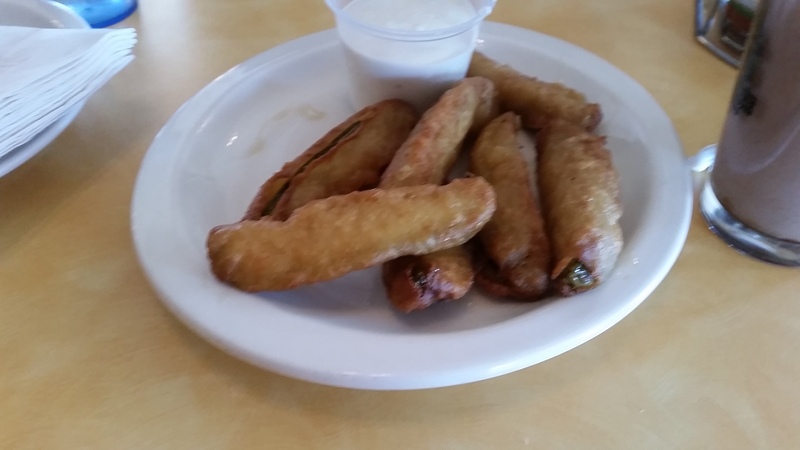 Thanks to Stacie Coburn for the picture! 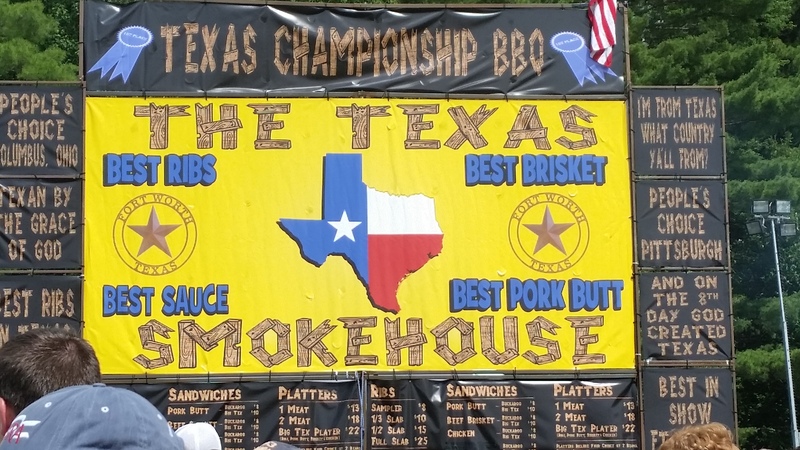 Hailing from Bedford, Texas, The Texas Smokehouse was my personal favorite. These ribs were tender and very meaty; I felt they provided a good amount of meat per rib, and were well worth the money. But as good as the meat was, the sauce was the real star of these ribs. 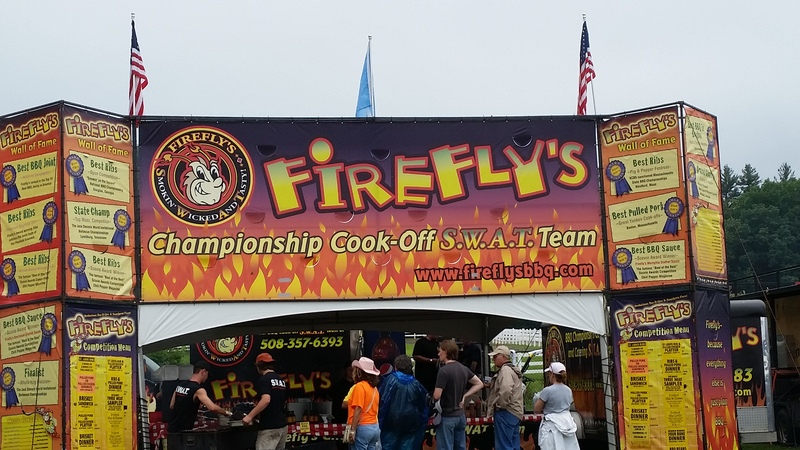 As for the sauce, there was a lot of it; it was a nice mixture of tomato and vinegar flavor, an acidic BBQ sauce that stood out to me above all the other vendors. 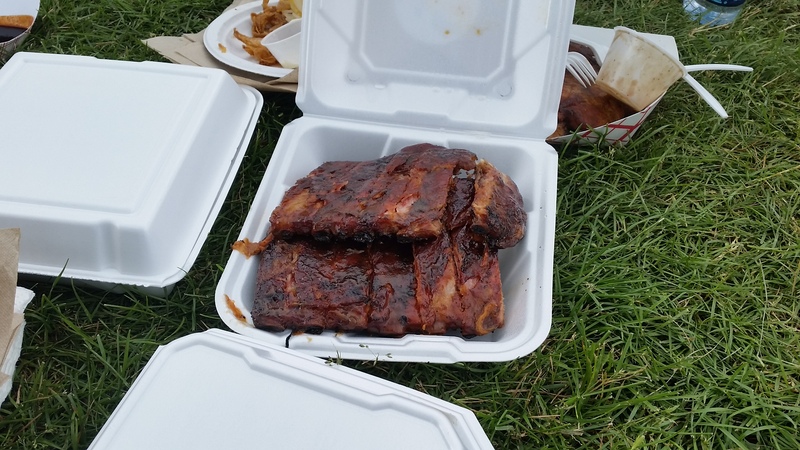 If you visit Ribfest, make sure to get a rack of these delicious ribs. 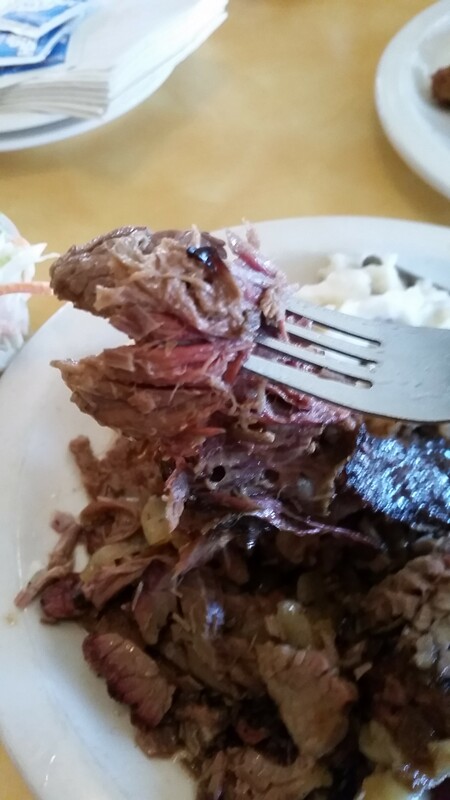 These too were a meaty rack of ribs, which is exactly what you want; unlike Texas Smokehouse, who doused their ribs in delicious sauce, Gator relies more on smoking theirs, and they really stand out in doing so. 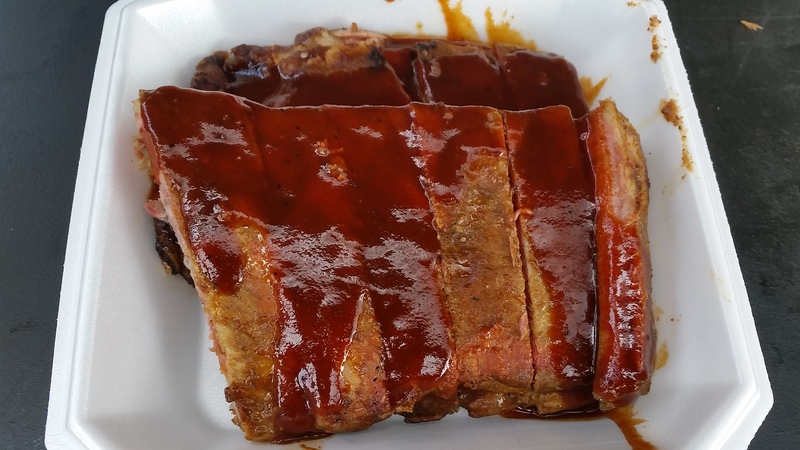 In fact, the smokey flavor seemed to penetrate the entire rack of ribs, making sure there was great flavor in every bite. With a name like Gator, you’d know these ribs carry a great Southern BBQ tradition; and this vendor was another consensus top seller in my group’s opinion. This company from Massachusetts was my third favorite rack, and another seller my friends and I reached consensus on as a top vendor. While not as meaty as the previous two, it still contained a nice amount of meat; but the good flavor from Firefly’s is what makes these ribs a must try. 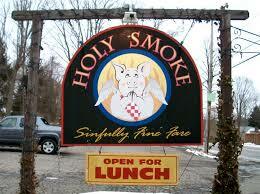 Like Gator, Firefly takes the smoked rib route, and provides a unique taste in doing so. The best way I can describe their sauce was that it carried a smoked-in granular taste, which was not only very good, but also unique among the ribs we were able to try. 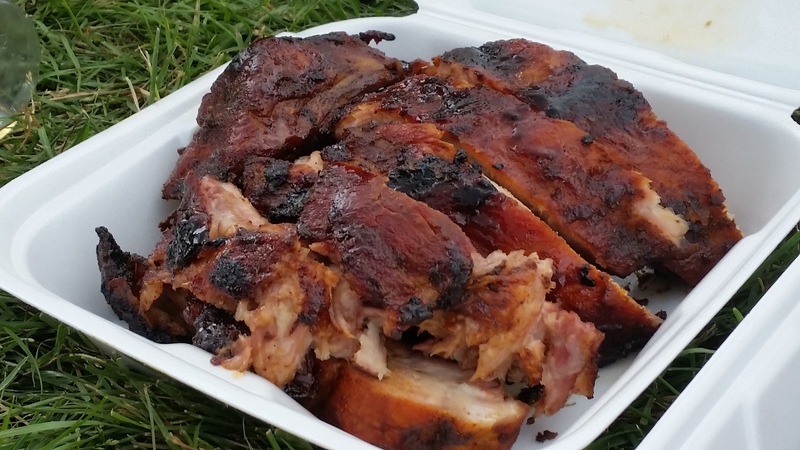 If you visit Ribfest, you would be remiss to miss out on this delectable rack of meat. 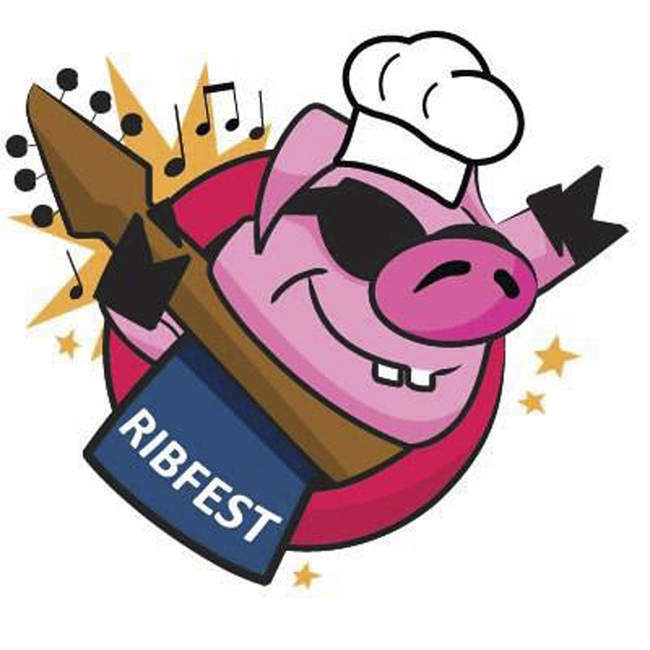 This year there were nine Rib vendors who participated and competed at Rock’n Ribfest; the fact that I only covered three of them does not mean that the other six where terrible or shouldn’t receive your consideration. It just means that out of all the ones I tried, these are the three I believe you can’t afford to miss. 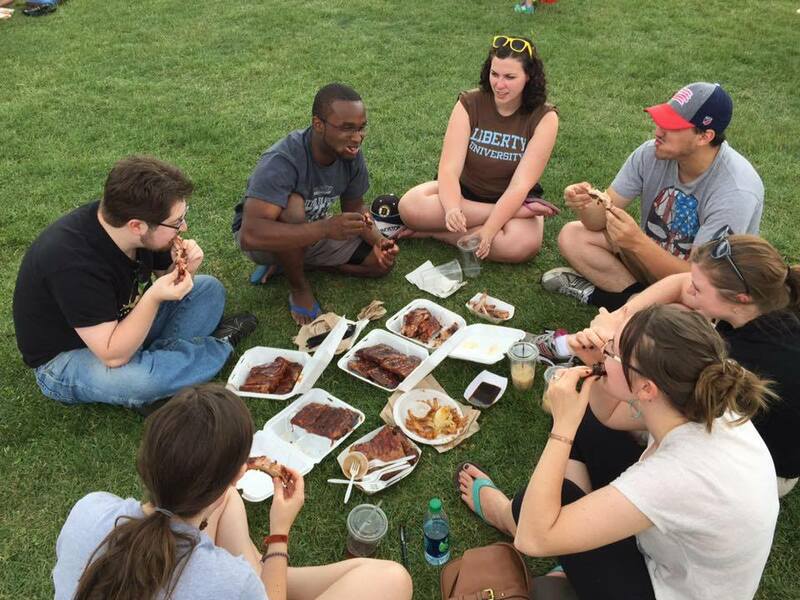 Be sure to come back tomorrow as I cover Ribfest’s other non-rib must eat meats.